Pumpkin pie is something I have always wanted to cook, something about roasted pumpkin, pastry and spices just got my mouth watering. This turned out really well and would have been the perfect dish for a family gathering. I thought I had a photo after I topped it with the pumpkin seeds but technology seems to have failed me. Will update when I make the seeds again as they will make the best snack! Preheat the oven to 200ºC/400ºF/gas 6. Roll the pastry to the thickness of a pound coin. 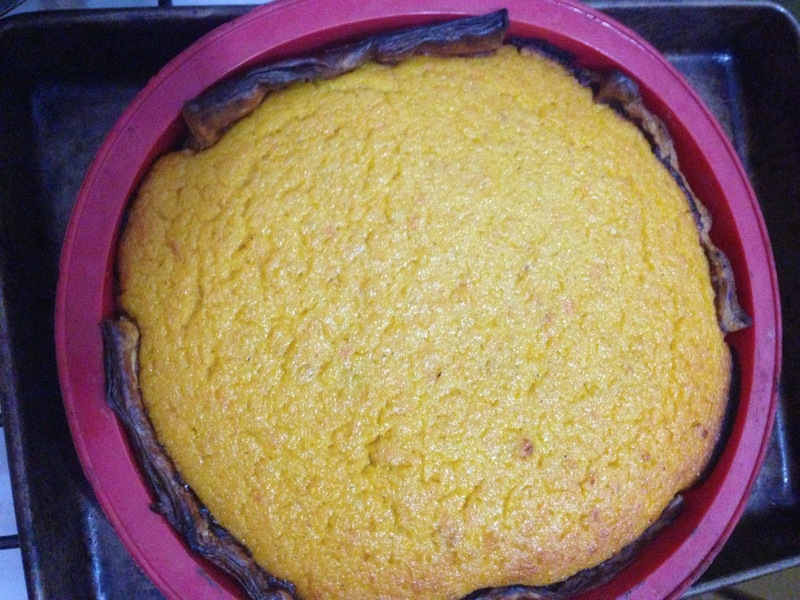 Get a 22cm loose-bottomed tart tin, line with the pastry and bake blind for 20 minutes. Set aside. Lay the squash in a baking tray. Sprinkle with the nutmeg, ginger and cinnamon and drizzle with the maple syrup. Cover the tray tightly with a double layer of tinfoil and bake for 45 minutes until soft. Reduce the oven to 180ºC/350ºF/gas 4. 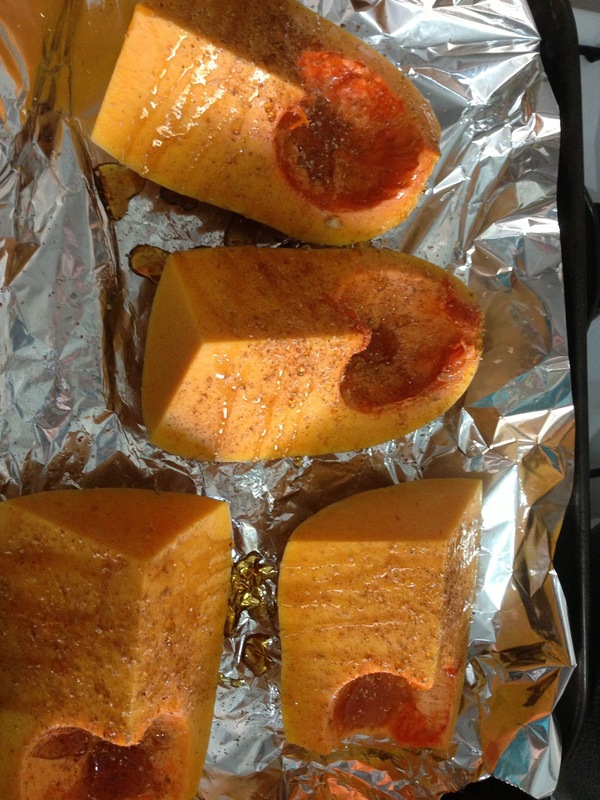 Allow the pieces of squash to cool, then scoop out the flesh. You should have about 600g of cooked squash flesh. Don't forget to scrape out the bits in the tray and the maple syrup. Put in a food processor and whiz until smooth. Transfer to a bowl. Add 2 tablespoons of the sugar and the eggs. Mix well and stir in the cream. Fill the cooled tart case with the mix and bake for 45 minutes. Meanwhile, wash the stringy bits of squash off the seeds, dry them and lay them flat on a tray. Sprinkle with the remaining sugar and place in the oven with the pie for the last 10 minutes until crispy. Remove the tart from the oven. Sprinkle with the seeds when cool. Serve with cream or ice cream, if you're feeling naughty. Changes Made: I only had filo pastry and did not have the motivation to make some pastry. Results: This was really good! The process of roasting with the syrup and spices made for some amazing flavours. I loved the idea of almost crystallising the pumpkin seeds and I loved snacking on the leftovers. The fill was OK, but it needed the texture difference and sweetness that short crust pastry would have bought. Looking forward to pulling this one out on Christmas. Next Time: Definitely some short crust pastry, I know it's not that hard to make! !